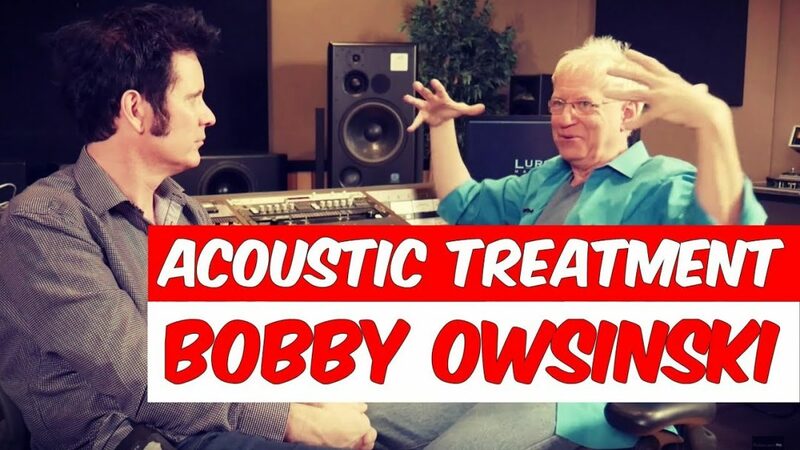 Bobby Owsinski is an audio engineer and author, perhaps best known for writing over 20 books on recording, mixing, mastering, and acoustics–many of which have become a part of audio school curriculum. Early in his career, Bobby worked with artists like Frank Zappa and The Byrds before becoming one of the first engineers to ever mix for DVD surround sound. His surround mixing credits include Jimi Hendrix, The Who, Elvis, and Iron Maiden, to list a few. It was fantastic having a chat with him, particularly about acoustic treatment and speakers with regards to his book, The Studio Builder’s Handbook. Bobby Owsinski is a wealth of knowledge in this area, and much of this conversation stemmed from the importance of having an adequate listening environment. He informed us that the key to an accurate environment is creating an RFZ–a reflection-free zone. Many novice engineers, or musicians who want to record themselves, overlook the importance of acoustic treatment, and thus fail to maximize their room’s potential. Treatment is crucial, especially since digital technology has brought recording and mixing to our bedrooms, basements, garages, or otherwise–all of which are less than ideal acoustic environments to begin with. Creating an RFZ doesn’t have to cost much or take much effort, which Bobby stresses here. Purchasing or building absorptive panels and placing them on first reflection points, like the side walls and ceiling, can drastically improve a listening environment. And if you’re wondering how to find a first reflection point, grab a mirror and move along the side walls and ceiling of your space. If you can see your monitor in the mirror, you’ve found where an absorption panel should be placed! Bobby currently has 23 books available on music production, recording, mixing, mastering, musicianship, and music business. He’s as much an educator as he is a remarkable producer and engineer; surely, other engineers and musicians of any skill level can learn something from Bobby’s outstanding selection of books. We hope this conversation will inspire you or provide more insight into the world of acoustics, mixing, and mastering music. Have a marvellous time recording and mixing!